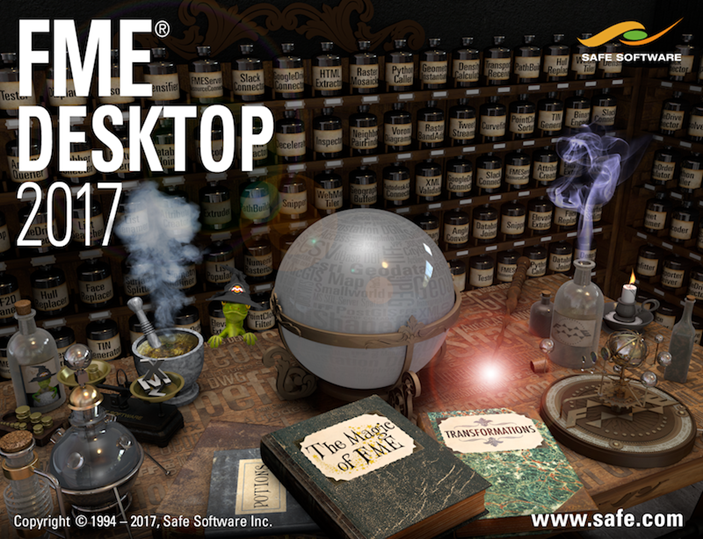 FME 2017.0 has been released on March 1st. 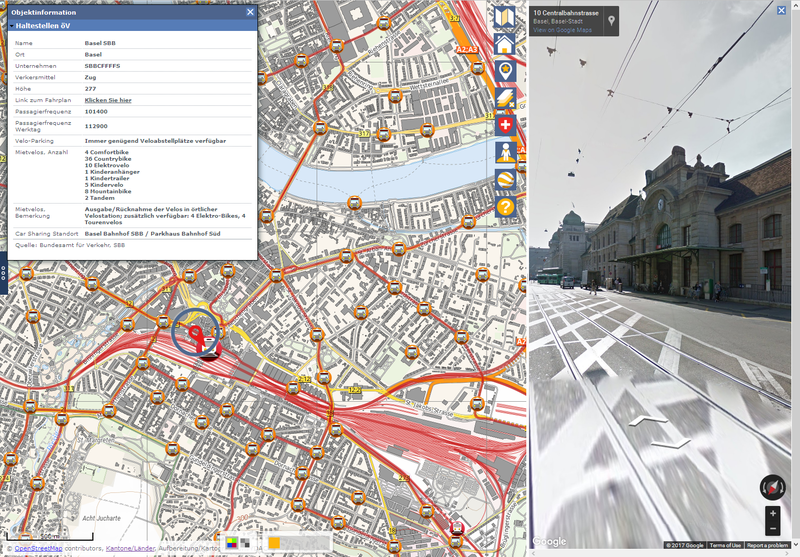 News from Open Data and mapplus.ch. Hint: We suggest to install FME 2017 parallel to your existing installation (.e. in a "FME2017" directory) and to switch to it completely when you are sure that all your WBs work as expected. Add Formats using a quick add functionality: just type a keyword such as shape inside WB and go! A WOW in Germany! The first province releases all its data for free: Nordrhein-Westfalen on its portal www.open.nrw. This is a big step, knowing how heavily the Germans are sitting on their data. This is not only good news, NRW did a very good job. Great stuff. Best in Europe seems Austria. As far as we see, all provinces offer open data! Canton of Schaffhausen offern now complete datasets for download (whole canton). In additon several WMS and WMTS services. Great! Canton of Zurich has released orthoimagery of 2016 as WMS. Fast, high res, very good looking. Good job! 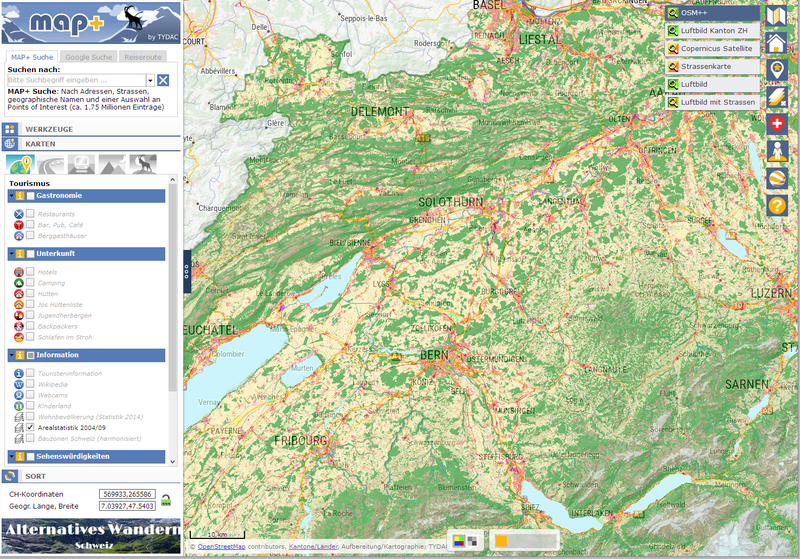 Canton of Berne offers more and more free data, good news! Canton of Geneva, update: We did not find any OGC Web Services, only ESRI proprietary services. WMS and WFS are mentioned in several places, but we did not find any. Swiss Rail has a new open data portal and has released some APIs. Noticed: swisstopo still sells free data at astronomic pricing. 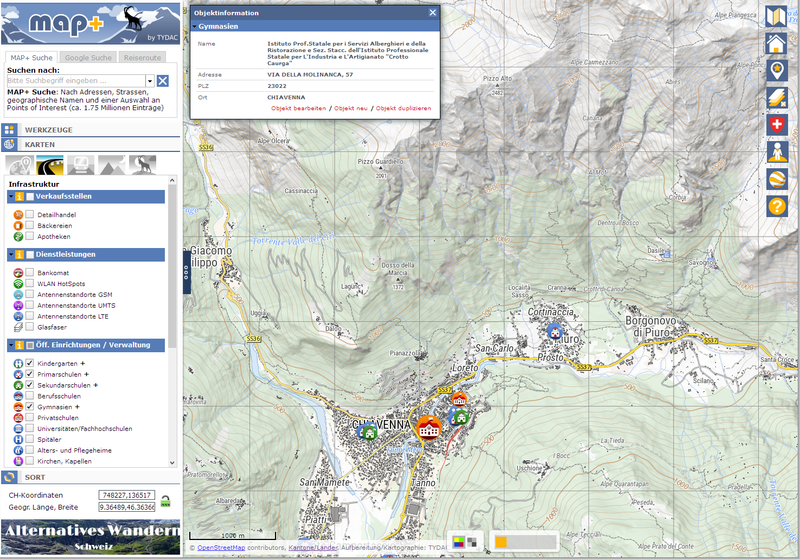 For example: swissAlti3D Canton of the Grisons is available for free at GeoGR (whole dataset CHF 300 expenses). swisstopo charges CHF 19'430.25 (!) for the exact same data: Ok, we admit, there is one small difference: the swisstopo license forbids internet usage... Same situation with other cantons offering swissALTI3D or better DEMs for free (Aargau, Berne, Geneva, Solothurn, Schwyz, Zurich etc.)... Same situation with aerial images, the cantons offers are more up-to-date, have higher resolution and are free... and you are even allowed to use the data! OSM++: High resolution reliefs of Lombardia and Toscana added (see above, Open Data). Our European DEM dataset has now a size of 1TB!